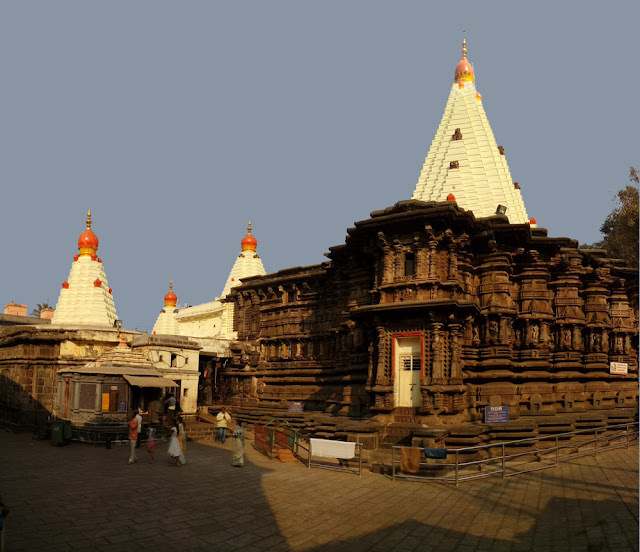 This is the Mahalakshmi temple at Kolhapur, popularly called as the Ambabai Temple. It was originally built in the 7th century, but unfortunately the original dark stone on the spire has been replaced by ugly white paint. 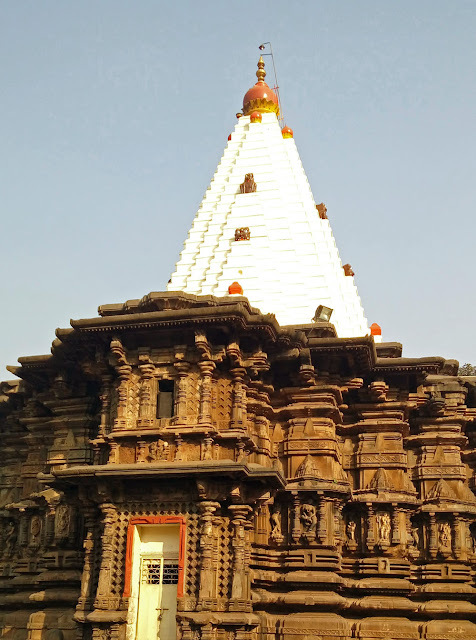 The temple has also become very commercial where even elderly devotees are shouted at, pushed and bullied by the female security guards. It is impossible to pray here because of the nasty guards, shouting, and pushing even 88 year old people. This is a personal experience (we had taken my mother in law there), and on a Wednesday, when it was less crowded than usual. We had given a saree, and offerings, but no one seemed interested. The guards have just got used to the bullying and enjoy it. One cannot have even a few moments of peace, so how can God reside here? The believers will continue to throng this temple, but we will never go back.